Is a unique combination of pure white finish with natural shades of wood which is ideally suited for modern and functional home storage requirements. - This sideboard is made of strong, robust MDF and painted white mat with attractive elements of natural wood and oak veneer. 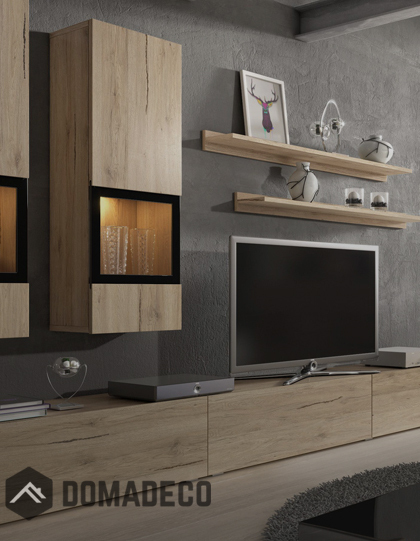 It has four drawers and one compartment making it ideal for modern storage requirements. - Inspired by the 60's, this modern CERVO collection is ideally suited to a retro style. Please ensure to check dimensions to ensure selected furniture fits appropriately.